Help to Buy is a Government-backed scheme aimed at helping more aspiring homebuyers purchase property. The scheme falls into two parts: an Equity Loan and the Mortgage Guarantee - a type of insurance for mortgage lenders to help them offer more mortgages to people with small deposits. The Equity Loan is only available to home buyers purchasing new-build properties in England -money has been made available for Scotland, Wales and Northern Ireland to launch their own versions. The insurance part should impact lending throughout the UK. 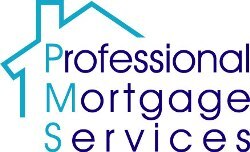 Professional Mortgage Services is an approved adviser by Help to Buy South West, the Government appointed Help to Buy Agent for South West England and is authorised to carry out financial reviews on their behalf. If you are looking to buy under the Help to Buy scheme you will need a financial review carrying out and should choose an appropriately authorised financial adviser. Contact us for further information. (HCA), and the remainder (usually 75% of the property's value and up to a maximum of 80%) is covered by a mortgage provided by one of the banks or building societies signed up to the scheme. You con arrange the mortgage via a mortgage broker or independent financial adviser, or you can visit a branch of. or call, one of the participating lenders and speak to an adviser there. A range of mortgage types are offered by participating lenders including fixed rates (the rate you pay is set for a number of years), and tracker deals (the rate you pay varies in line with the Bank of England Base Rate). The maximum purchase price for a Help to Buy property is £600,000, so the maximum mortgage loan available is £480,000. The mortgage lender will carry out the usual checks to ensure that you can afford the mortgage, and are a good credit risk. The Equity Loan (NOT the mortgage) is interest-free for the first five years. You make two separate payments: one to the mortgage lender and one to the Government. The Government appointed Local HomeBuy agent will deal with the documentation and arrange the loan. After five years, you pay the Government 1.75% interest on the loan, rising every year by the level of Retail Price Inflation (RPI currently 2.6%*) plus 1%. You should be aware that if you default on the payments on your Equity Loan, the Government, which has a legal charge on your property, can pursue you for the money. You can pay back the loan at any time but you have to repay a minimum of 10% of the amount you owe at a time. As the Government owns a stake in the equity of your property it shares in any increaso in the value of your home - or any decrease. If, for example, you have bought a property for £200,000 using a £40,000 Equity Loan (20%). the Government owns a 20% stake in your home. If. say. you sell for £250,000 five years later, the Government gets back 20% of the sale price = £50,000. If you sell your home and you haven't paid off the loan, you have to pay the Government back Its percentage stake. So, if your property has fallen in value, you have to repay the same proportion of the reduced value. Using the example above, if you bought for £200,000 with a £40.000 Equity Loan (20%) and sold. say, five years later for £150,000, you will owe the Government 20% of £150.000 = £30.000. That is £10,000 less than you were loaned in the first place and the Government absorbs the loss. The second part of the Government's Help to Buy scheme, the Mortgage Guarantee, is completely different from the Equity Loan. It aims to encourage mortgage lenders to offer more mortgages to people with smaller deposits by making it less risky for them to do so. This part of the scheme does not involve any activeparticipation on the part of the borrower, who should simply benefit from access to a larger number of mortgage deals. In the past there were hundreds of mortgages available at 90% to even 100% 'loan-to-value' (LTV), so if you had a 10%, 5% or even no deposit, there was plenty of choice available. To protect themselves against the risk of borrowers with these smaller deposits 'defaulting' (not making their mortgage payments), lenders traditionally took out insurance called Mortgage Indemnity Cover. However, in the years lending up to the credit crunch. with most lenders offering higher LTV mortgages, such deals had increasingly become the norm and were considered a reasonable risk for lenders and so mortgage indemnity had started to be phased out of the market. WHY IS THE INDEMNITY IMPORTANT? Mortgage indemnity could make a big difference if it allows borrowers access to more deals with smaller deposits. In recent years, while a handful of lenders have continued to offer mortgages above 80% LTV. and even up to 90% LTV, because such loans are deemed more risky by underwriters, these higher LTV mortgages have been charged at higher interest rates than home loans under 75% LTV. The Government has now proposed that it plays the role of the insurer and, as of 1st January 2014, is providing indemnity to lenders offering higher LTV loans, promising to compensate them for part of their losses if mortgage borrowers fail to make their mortgage repayments. This may allow lenders to offer higher rate LTV deals at lower mortgage rates. Note that the indemnity only compensates the mortgage lender if you default on your loan, and offers no help to the borrower . If you default on your mortgage you still owe the full outstanding balance. A typical interest rate charged on a 95% mortgage is around 5.25% while the typical interest rate charged on a 75% mortgage is around 2.6%". •You must be looking to buy your ONLY home, in which you will live. •You must be able to afford the mortgage.